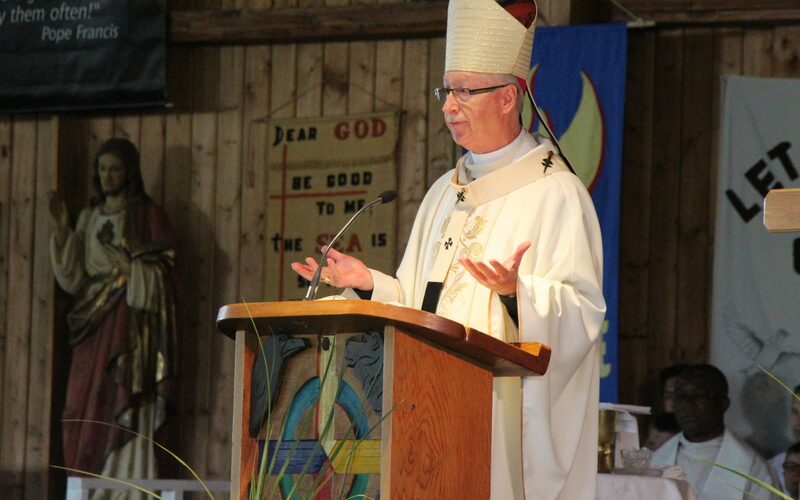 While Canada Day is a time to celebrate our blessed country, it’s also a time to reflect on where our nation has turned away from God in the mistaken notion that we simply don’t need Him, says Edmonton Archbishop Richard Smith. “Deeply aware as we are of the blessings that are ours in this country, we do also share a profound, heartbreaking, heart-wrenching sense of lament at many things we are seeing unfold in our country,” Archbishop Smith said on June 30, the eve of the national holiday. 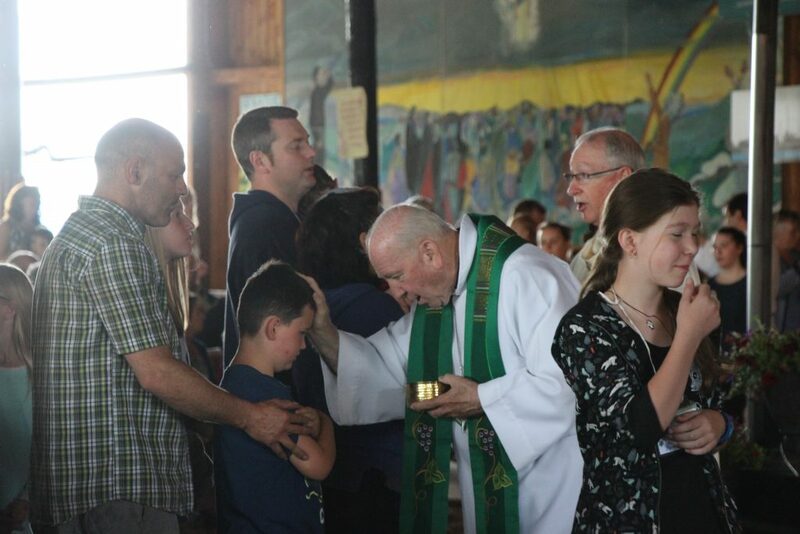 He was speaking during the homily at morning Mass at the annual Catholic Family Life Conference, an event that draws thousands of people from across Canada each year to the pilgrimage site of Lac Ste Anne, northwest of Edmonton. 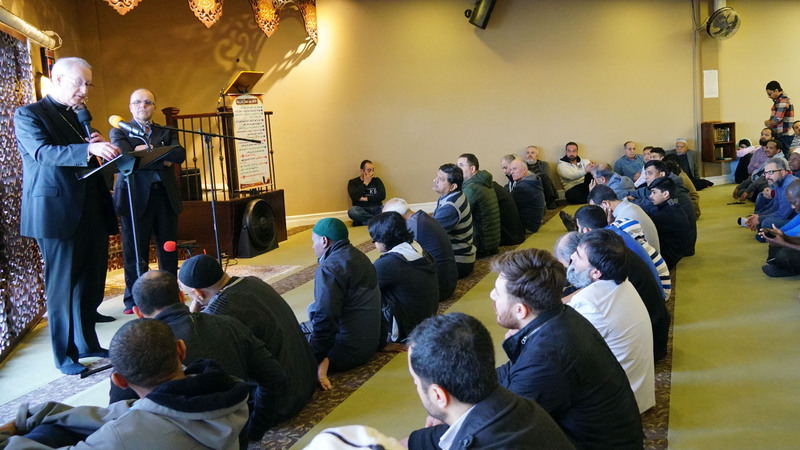 “We need only think of the recent decision of the Supreme Court of Canada in the case of Trinity Western University, in which the foundational right to freedom of religion and freedom of conscience was undermined by our very own Supreme Court ̶ which should be a body that we look to uphold our Charter rights rather than undermine them in the name of a rather subjective concept that they call the public interest,” Archbishop Smith said. “And the reasons for our lament can be multiplied as we consider the continued attacks on the dignity of human life, the undermining of family, significantly by the redefinition of marriage, and so on. The first reading of the day (from Lamentations 2) spoke graphically of the abject misery of the Israelites, who had been forced into exile by invading forces. But the reason for their misery, the Archbishop said, is the same for us today. “The word of God in that first passage is clear: your so-called prophetic leaders have spoken to you deceptions, visions ̶ ideologies, if you will ̶ that have led you away from fidelity to God. In order to move from misery to hope, that reading tells us we must go to the very heart of why we find ourselves in the situation we do. And that is sin: having turned away from God because of surrender to a lie. “The lie that finds itself at the basis of all others, the originating lie that finds its human expression throughout history, is that lie first proposed by the Evil One to Adam and Eve: the lie that you do not need God. That truth was illustrated in Matthew’s Gospel account of the centurion who begged Jesus to heal his servant and uttered the now famous words: “Lord, I am not worthy to have you come under my roof; but only speak the word, and my servant will be healed.” (Matt. 8.5-17). Smith said the centurion’s faith began, as ours must, with an awareness of our own powerlessness and need for God.